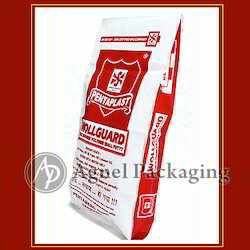 We are offering Wall Putty Bags made using PP WOVEN Fabrics with high Denier GSM in these kinds of bags by which Cement Paint, wall putty, Tile fix & construction chemical bag get better safety & avoids Moisture. Also offering with BOPP Multicolor printed and laminated on single side as well as both sides. Multicolor Printing up to 8 colors Flexo printing up to 3 colors. 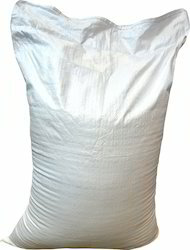 Low GSM Fabric Bags for cost effectiveness. Bags with gussets as they are very useful while stacking in super markets or warehouses and they also occupy less space while transportation, these bags are offered with two types of printing, one is normal gusset printing and another is Shifted gusset printing. Size/Dimension 13" x 18" * 15" x 20"
We offer an assortment of Handle Bags which is available in the various sizes and colors. 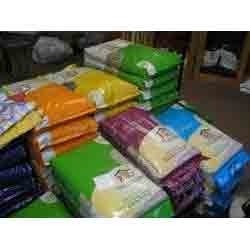 These are manufactured using premium quality raw material which includes PP, PE, OPP, PPE, PPU, PVA, PVC, CPE and are widely used as a supermarket bag, shopping bag and other product package bags. Further, to fulfill the varied requirements of our clients we also customize these products on the various parameters. The HDPE Woven Sacks manufactured, supplied and exported by us are appreciated by all our customers from across the globe. Fabricated using premium quality HDPE material, these Laminated HDPE Bags are high on durability and provide excellent protection against spillage, infestation and spoilage. 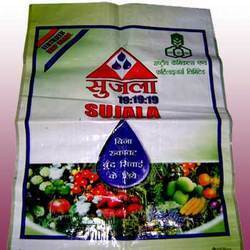 All kind of Seeds Bags with BOPP Multicolor Printed Laminated PP Woven Bags. The Seeds packing provide with two types of packing bag one is Certified and second is Research Seeds and we have develop the special bag for the same. All kind of Seeds Bags with BOPP Multicolor printed laminated PP Woven bags. 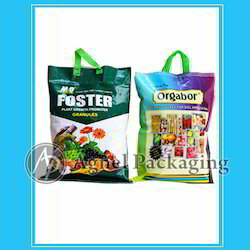 Single side Flexo printing and other side with multicolor printed laminated PP Woven bag. Also with both side multicolor printing. Looking for Bopp Multicolor Woven Sack and Bags ?